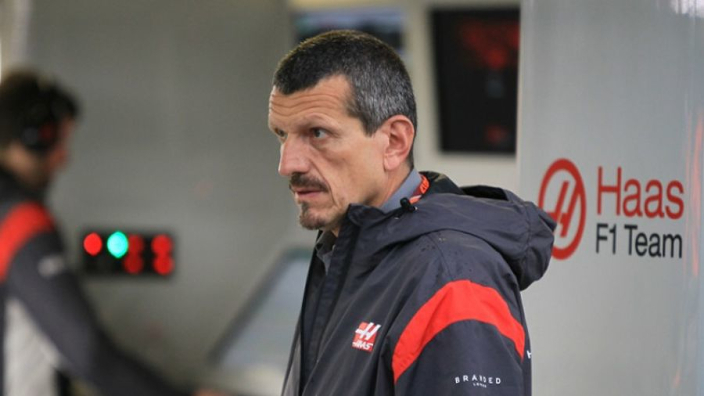 Haas team principal Gunther Steiner says he is "happy" with the ever closer alliance between Ferrari and the team formerly known as Sauber. Haas have taken all listed parts from Ferrari since entering F1 and the tight relations between Italy and America had prompted some to accuse Haas of "cloning" the Scuderia's car last year. While close ties with the Scuderia helped Haas challenge for fourth spot in the constructors' championship last year, eventually finishing fifth, it's unclear if they will remain so close to Ferrari in 2019. Ferrari and the team formerly known as Sauber are moving even more closely together, with the rebranding of the Swiss team as Alfa Romeo and rumours of a full buyout. @haasf1team's 2019 livery! Do you like it? Charles Leclerc swapped Sauber for Ferrari ahead of 2019, with Kimi Raikkonen moving in the opposite direction to lead Alfa Romeo's team with Ferrari junior driver Antonio Giovinazzi.